Phycodurus eques is a fish which you might have heard of referred to as the leafy sea deagon. 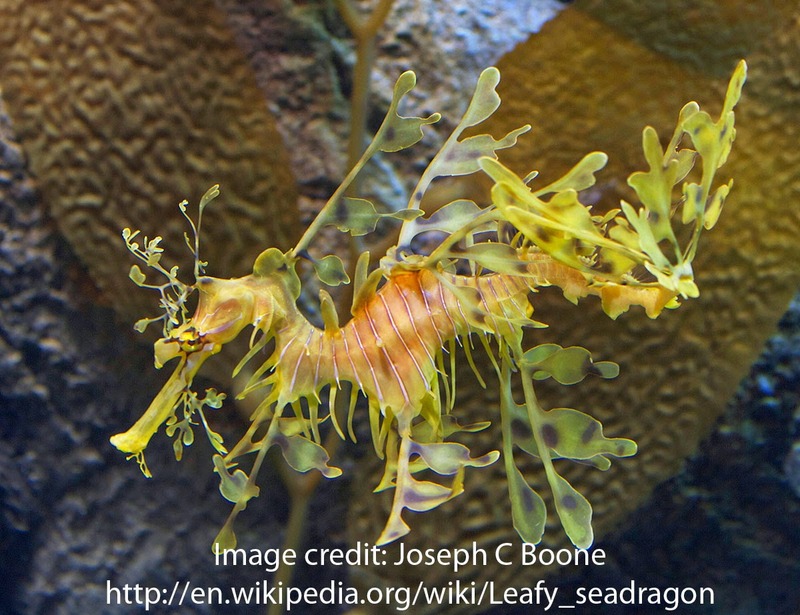 The weird leafy lobes on their body are a form of camouflage giveing them the appearence of seaweed. They can even change color to match the seaweed and their movements mimic floating seaweed. 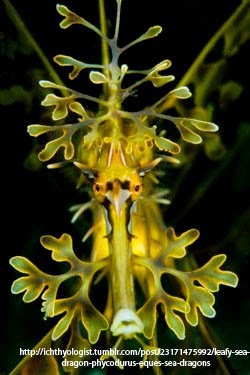 The leafy sea dragon is found on the southern coast of Australia. You are probably thinking it looks like a seahorse, well that's because the genus Phycodurus is in the same family as the sea horses. Phycodurus eques is the only member of this genus. nice to know this delightful creature exists! thank you!